The drive to NYC from MTL is roughly 6-7 hours, depending on traffic and the weight of the driver's right foot. We (my oldest friend Jason) and I left from downtown at about 7:45am. Whoohoo! La Prairie here we come! It's a very nice drive through upper New York State, and the trees were just starting to change (a week later and that same drive is a real kaleidoscope). You end up driving through (or rather, past) all sorts of small towns, including the lovely hamlet of Coxsackie, NY; no doubt a sister town to Balzac, AB. The arrival in NYC was great - the whole city unfolding as you make your way down FDR drive. Our hotel was a Best Western just on the edge of Chinatown, on the corner of Bowery and Grand. Great spot - and fairly affordable for Manhattan rates. Fast forwarding just slightly as I need to run... the U2 show! The pre-concert started, appropriately enough, at an Irish pub. And with some Irish handcuffs (mine being Guiness and Jamieson) under our belt, we were on our way. The show was at Giants Stadium in New Jersey with 82,000 fans. It was a very good show, but having seen the band 3 times previously, I would say not their best. Bono's voice is, sad to say, betraying his age - noticeably nasal and a little more brittle. And they played a lot off their latest No Line on The Horizon cd - a weaker one to be sure. Still, with 82,000 New Yorkers in a great mood and in full voice, with weather in the low 20's, it was a great event. And there was a great vibe especially during a few songs - I tried numerous times to provide you a video link of With or Without You, but Youtube takes down any unauthorized material and the file size is too big for Blogger.. so these photos will have to suffice. We were 30 rows away... the pictures don't really do it justice, but the spectacle and production was as much of the highlight as the music (fortunately or unfortunately). Signing off now... chat again soon. The first full day in Paris started off with a vigorous jog, in an attempt to run off the jet lag. Quite the day... just came from beers with the author of the book that helped spur me to make a changement de vie - Bryce Corbett (A Town Like Paris - he was mentioned last post). And I spent time at Shakespeare and Co, a bookshop and writer's mecca, to meet a friend - a Quebecois Master's student on her way to Madrid. And to nerd out in one of coolest, oldest bookstores you'll see. Pre-dinner dinner - quintessential Paree. Some seriously long street names. I guess Rue d'Antidisestablishmentarianism was already taken. For now, one of the biggest challenges with this blog is to find original ways to describe some of the most-often-described cities in the world. 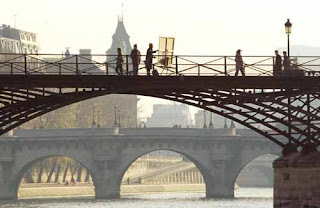 But today there's not much to say other than WOW... it's not every day your jog takes you right past Notre-Dame cathedral, over a stunning bridge with the 8:30am sunlight just beginning to warm the air and sprinkle light on the Seine, to the Jardin du Luxembourg. (Brief history lessons will appear at the bottom the page whenever it seems relevant). For those that haven't been Paris is full of amazing parks and green spaces, big and small, where you can lounge around and take a break from the hustle and bustle. 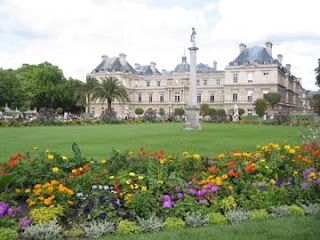 Jardin du Luxembourg is one of my favorites, and especially a small corner of it with the fountain of Marie de Medici. I didn't have a camera with me for the run(will try again - it's supposed to be sunny and 22 degrees all week), so you'll have to do with those 2 stock photos above for now. All the other photos here are originals. Suffice to say, it was one of the most beautiful runs of my life. The plane ride from Montreal was a beauty. A first-class, one-way ticket for $665 on Air Transat was well worth it for the overnight trip. I'd recommend it for anyone over 6'0". It was weird being on the other side of the curtain for once... you get a sense of it early, as you board first and try to avoid the haunted, soulless gazes of the huddled masses shuffling past you. Good thing they didn't see the prosciutto, brie, and red wine served to us just minutes after the curtain was pulled shut. Nor the Air Transat bag of goodies containing socks, eye covers, lip balm - the good Neutrogena stuff, not the ghetto Labello version - and some kind of refreshing face spray. There would have been a mutiny on board. Pre-dinner on the flight. Note the plush sock, upper left. All in all, the only thing missing from the flight was a Seinfeld-esque model to toast my good fortune with. (And yes, I realize I'm going to pay for this as I travel economy for the rest of my life, but what the hell). The first taste of Paris life came very early yesterday, with a random act of busking appearing on the train from the airport to the Gare du Nord station. The gentleman in the picture just started his music box up and began belting out upbeat French chansons. Still to come... a U2 review with photos from New York...and the posts won't all be this long - playing a little catch-up for a bit. Notre-Dame was started back in 1163, and completed in 1345, with ongoing maintenance and restoration since then. The gardens of Luxembourg surround a building built in 1615, and which now houses the Senate. "I don't know where I'm going, but I sure know where I've been"
Mark Twain - author? Martin Luther King - civil rights champion? Confucius - philosopher? 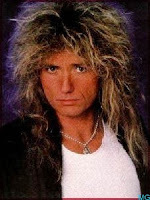 Actually, it's David Coverdale - Whitesnake. And while it may seem odd to kick off a travel blog with a quote from an 80's hair band, it does sum up my mindset at the moment as I head off to a new adventure. I'm writing this on a pleasantly rainy day in my hometown of Montreal, just before heading off to Paris tonight and just after 3 days in New York City. The ticket tonight is one-way - less a statement of never returning and more a statement of just letting things happen for a while, after years of resisting some invisible (and some slightly visible) forces that were not working in my favor in my adopted hometown of Calgary. For 99% of friends, family, and strangers reading this, my blog will be a mixture of education and entertainment, while being as non-self-indulgent as a personal blog can be. And for a few souls out there reading this, I hope it will even be somewhat inspirational, in that you may realize that it's never too late to hit the "reset" button on your life and to make changes, big or small. I know I benefitted greatly from a few random sources as well - Bryce Corbett's "A Town Like Paris" and Tim Ferriss' "The Four-Hour Work Week" in particular, among others... so it is possible to get inspiration from anywhere, at anytime. To get moving, I sold the house, the car, put a few things in storage (hung onto the golf clubs), had some garage sales and gave the rest to goodwill. The itinerary is this, so far: Montreal - New York - Paris - Amsterdam. Beyond that, it's anyone's guess - although Buenos Aires is on the radar. The idea initially is to make a go of it in Europe, where I have extended family and where I can indulge my passions of writing, languages, and living more freely. I won't get too journal-y here - suffice to say that after some significant challenges in work, relationships, and health, I decided that Calgary was not for me, despite some amazing friends and places (Griffith Woods Park, Steeps Tea House and Brava Bistro foremost among the places part). It's a very nice place to live, but not necessarily to LIVE. So while it may appear to some that I've lost my sanity in doing this, in many ways it's actually an attempt to reclaim it. To paraphrase the Dos Equis guy: I've decided to live vicariously through myself. I'm playing catch-up with the blog over the next few days, as I fill people in on the New York and Montreal visits, so there will be almost daily posts and photos for a while. The next post, about NYC, will actually come from my week-long apartment in Paris. Check back often, and leave comments or send personal messages as often as you'd like. I hope you enjoy it and I'd love to hear from you. And if you click the ads on the bottom of this page about 5000 times or so, I may be able to afford an espresso or a stroopwafel.